Poly Postal Packaging is a UK manufacturer and supplier of plain and printed packaging, trading for over 11 years. Our manufacturing and large warehousing site is located in the historic cathedral City of Lincoln. Established for over 12 years and trading online since 2005, our staff and management personnel have amalgamated over 30 years experience of manufacturing and trading in packaging and postal supplies. We specialise in the manufacture of polythene packaging, including Postal Bags, Mailing Bags, Polybags, Garment Bags, Wicketted Bags, Blockheaded Bags and much more. Our core product lines, however are postal bags and mailing bags with over 15 million mailing bags kept in stock in various sizes and colours. With keen investment in both modern machinery and reputable stock raw materials, we strive to produce the highest quality products for our customers. As a reputable company, we specialise in large volumes and short runs from as little as 100 polybags. Poly Postal Packaging can offer eight colour printing including four colour process CMYK flexographic. We also offer screen printing for those customers who may wish to buy small quantities of stock products and have them printed with their own company details. To maintain this fantastic service, we keep a large stock of plain unprinted raw material polythene film in various sizes and colours, which can be used for customised and bespoke plain or printed packaging. We manufacture about 70% of what we stock hold. We can turn a job around in as little as five days! 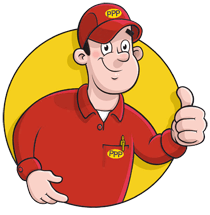 All orders placed with Poly Postal Packaging are processed by experienced sales staff at every stage and full customer contact maintained throughout. We are committed to ensuring that all orders are fulfilled quickly and efficiently. Recyclable packaging is an area that we excel in and you will find both 100% Recyclable Packaging & 100% Degradable Packaging from our stock lines. All products are priced per box, pack, roll and exclude vat @ 20% and carriage where applicable. 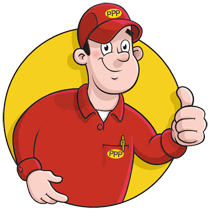 We believe we keep the largest stock of plain polythene mailing bags and postal products in the whole of the United Kingdom. We manufacture around 70% of the stock you will find on this website.